The woman in the manuscript is the crossroads of many lives. The point where fate draws lightly, like a painter trying his hand – who am I? This or that? 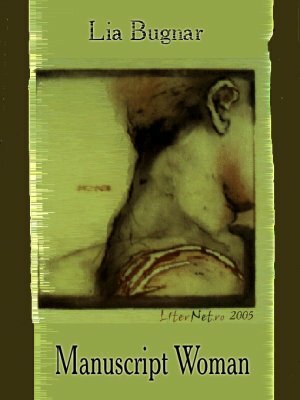 The woman in the manuscript is its master and slave, plays gracefully with every letter, pushes them gently left and right, just enough to change her life for good. The woman in the manuscript does not look good when she talks, narrates wordlessly, quivers, feels, loves, runs away, gives herself, grows up from one line to the other, runs away and comes back, changes, is gentle, passionate, a mother, lover, all the women ever. The woman in the manuscript is the manuscript itself, mirrored by the sheet of paper and the other characters. The manuscript is the woman who lives on stage; her high heels echo on the wooden floor, the lights shine in her hair, the stage manager discreetly whispers his directions to her and sends her flexibly from one life to another, leading her journey among the hoard of selves that lie around. Leaving poetry for common sense, the woman in the manuscript is the woman of our times. She lives unimaginable passion and survives the end, takes her life in her own hands (or her own pen) and refuses to obey the lack of imagination of a writer-husband who is predictable and balanced in his family life but generous and fiery where his characters are concerned. The woman in the manuscript is modern woman ‘enriched’ with a passionate soul, veiled in romanticism, with as much determination as suits her and perfumed with a drop of tenderness. The woman of our days, à la Lia Bugnar.